For rent condo 2 bedroom near MRT Huaikwang 65 sqm 36,000 Baht Cell me 0808144488. Brand new Town home for rent, 3 bedrooms, 2 living room and 3 restroom. ็้Biggest and Bueatiful House for rent in Muban Ladawan Ram Inthra. Ideo Mobi Rama 9 is a condominium project, developed by Ananda Development, located at Thanon Rama IX, Huai Khwang, Bangkok 10310. Ananda Development is also the developer behind Ideo Blucove Sathorn, Ideo Sathorn - Thaphra and Ideo Mobi Sathorn. Construction of Ideo Mobi Rama 9 was completed in 2014. Condominium comprises of a single building, having 28 floors and includes 705 units. Brand new stylish 3 bedroom Thonglor Apartment. Condo for rent of 101sqm in The Emporio Place, consisting of 2 bedrooms and 3 bathrooms located at Khlong Tan, Khlong Toei. Facilities include: Fitness, Garden, Parking, Security, Swimming Pool and Wi Fi. 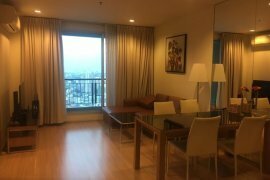 For rent The Star Estate @ Rama III Condo 2 Bedroom Unit for Rent - HOT PRICE. Single house for rent with garden in Asoke area. 2 stories house with 300 sq.m. 3 bedroom plus study, 3 bathroom with 2 maid rooms, 2 parkings and garden.Walking distance to BTS Asoke, Foodland Supermarket, Exchange Tower. Hello, Please contact me, I am interested in properties for Rent in Bangkok. Best Regards. "Now more than ever, Bangkok condos for rent are hot on the market and high in demand. The capital of Thailand is an amazing city to live in for any length of time, whether it’s just for a month or many years. Choosing just one neighborhood or one type of property to settle down in can be tricky though, which is why renting a condo is the best option for so many people in Bangkok. The options are nearly endless, from high-rise luxury condos in downtown Bangkok to Thai-style apartments in quieter outskirt areas. If you've decided that you want to rent an apartment in Bangkok, all you need to do to get started is entering in your property criteria into the search engine at the top of the screen here. Tell us how many bedrooms you want, what your budget is, and if you know it, tell us the location you'd prefer. We'll deliver you listings for the best rental condos in Bangkok, along with the contact information of the real estate agent working with that property. It has never been easier to find the perfect condo for rent." Thailand Property is an online property portal where thousands of property searches happen every day. Start your search today for affordable property for rent in Bangkok from 66,953 available listings. Condominiums, houses, townhouses, villas, commercial space, and luxury properties are available for rent in Bangkok. Bangkok’s properties for rent are either listed by private home owners or property agents such as Supreme Real Estate Co., Ltd, Accom Asia Co.,Ltd and RE/MAX CondoDee. The average asking price for property rentals in Bangkok is ฿ 41,111 for condos and ฿ 171,470 for commercials. Refine your search to help you find the perfect Bangkok property by price and number of bedrooms.